- Design of a framed structure to enable a parking area in Bilbao street in León, Spain. - Structural predesign of two solutions for a parking garage under the railroad yard in León, Spain. - Structural design of the Virgen del Puerto school, in Paracuellos (Madrid), Spain. - Structural design verification of Orusco de Tajuña local health office, Madrid, Spain. - Structural design of a Porcelanosa commercial building in Valfuentes industrial estate, Arroyomolinos (Madrid), Spain. 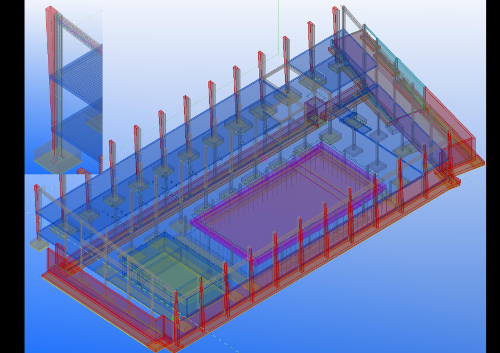 - Structural design of a prestressed slab for Essa Palau factory, in Palau de Plegamans (Barcelona), Spain. - Structural design of nine single-family homes in Casarrubuelos, SUP-R3 area (Madrid), Spain. - Structural design of a residential building in Carretera street, Arroyomolinos (Madrid), Spain. 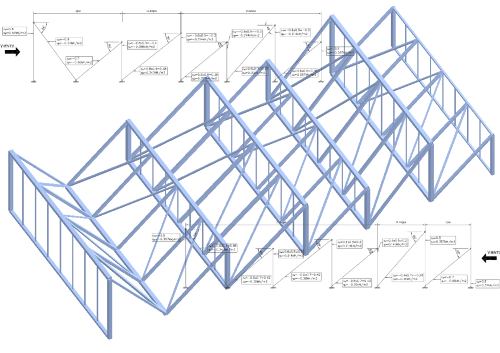 - Structural design of a residential building with 114 flats in Coslada SUNP-R1 area (Madrid), Spain. - As built documentation of Sevilla Olympic Stadium in Alamillo Park, Cartuja Island, Spain.